Grace qualified at the University of Birmingham with a First Class BSc (Hons) in Human Biology in 2008 followed by a Distinction MSc in Toxicology in 2009. 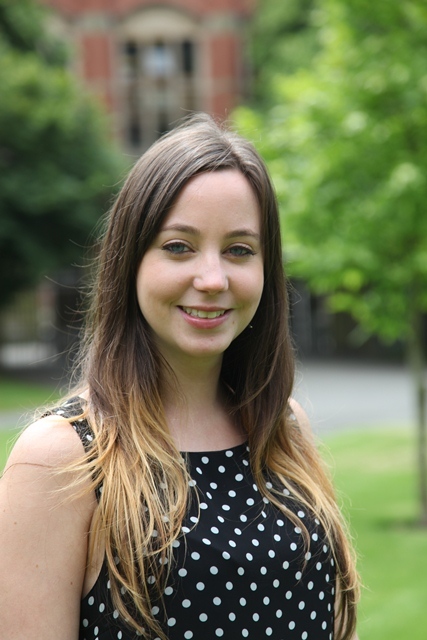 Grace took a position as a Research Associate within the Primary Care Department at the University of Birmingham in 2011 where her role was study co-ordinator for a large, national cohort study. She also undertook a secondment at Russells Hall Hospital (Dudley Group NHS Foundation). In 2012, Grace was awarded the NIHR School for Primary Care Research PhD studentship. Her PhD research investigated the long-term impact of mini-stroke and missed opportunities to prevent stroke, through a systematic review and two epidemiological quantitative studies. This research is published in high impact journals, including PLOS Medicine and the European Journal of Neurology, and received media coverage, including articles in the Telegraph, Times, Daily Mail, iNews and ScienceDaily.com. The research has informed and is referenced in the Stroke Association’s TIA campaign(2014); the Canadian Stroke Best Practice Recommendations (2015); and the NIHR Themed Review of research into the organisation and quality of stroke services (2017). The research was also selected to be published as two NIHR Signals (timely summaries of research relevant to policy makers). Furthermore, Grace won eight prestigious awards for her PhD research (two NAPCRG Pearls; NAPCRG distinguished paper award; Australian Association for Academic Primary Care presenter award; ESRF Investigator Award; RCGP David Morgan Presentation Prize; NIHR poster prize; and Graduate Research Festival highest scoring abstract). In 2013, Grace was selected as the only UK candidate to participate in the Canadian training programme TUTOR-PHC (Transdisciplinary Understanding and Training on Research- Primary Health Care), a one-year, interdisciplinary research training program funded by the Canadian Institutes of Health Research and the Canadian Health Services Research Foundation. Grace’s current position is a Research Fellow within the Centre for Patient Reported Outcomes Research (CPROR). Grace Turner, Benjamin Fletcher, Melanie Calvert, Maxwell Feltham, Sackley, C. & Tom Marshall, 8 Sep 2013, In : Systematic Reviews. 2, 1, 72. Grace Turner, Melanie Calvert, Maxwell Feltham, Ronan Ryan & Tom Marshall, 3 May 2015, In : BMJ open. 5, 4, e008149. Grace Turner, Melanie Calvert, Maxwell Feltham & Tom Marshall, 11 Nov 2014, In : BMJ open. 4, 11, e006622. Does characterising patterns of multimorbidity in stroke/TIA matter for developing collaborative care approaches in primary care? Aquino, M. R. J., Grace Turner & Mant, J., 6 Mar 2019, (Accepted/In press) In : Primary Health Care Research & Development. Derek Kyte, Ameeta Retzer, Khaled Ahmed, Thomas Keeley, Armes, J., Brown, J. M., Calman, L., Gavin, A., Glaser, A., Greenfield, D. M., Lanceley, A., Taylor, R. M., Velikova, G., Brundage, M., Efficace, F., Mercieca-bebber, R., King, M. T., Grace Turner & Melanie Calvert, 11 Feb 2019, (Accepted/In press) In : Journal of the National Cancer Institute. Grace Turner & Jonathan Mant, 5 Feb 2019, In : Neurology. p. 259-261 3 p.